Amaravati is situated in Satanically Taluk, 35-km away from Guntur. 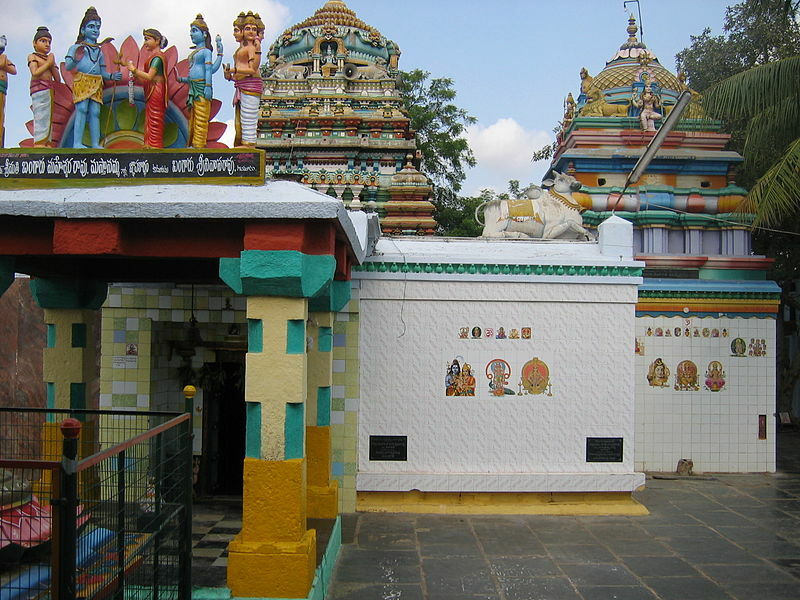 It is famous as the seat of a temple to Lord Shiva worshipped here as Lord Amareswara and also for the Buddhist sculptures, which are world famous. Amareswaram is considered sacred because of three things, the Krishna River, an important 'Kshetra' with a 'Sthalamahatyam' and the 'Sri Mahalinga Murthy', which are three sacred principles embodied in one. 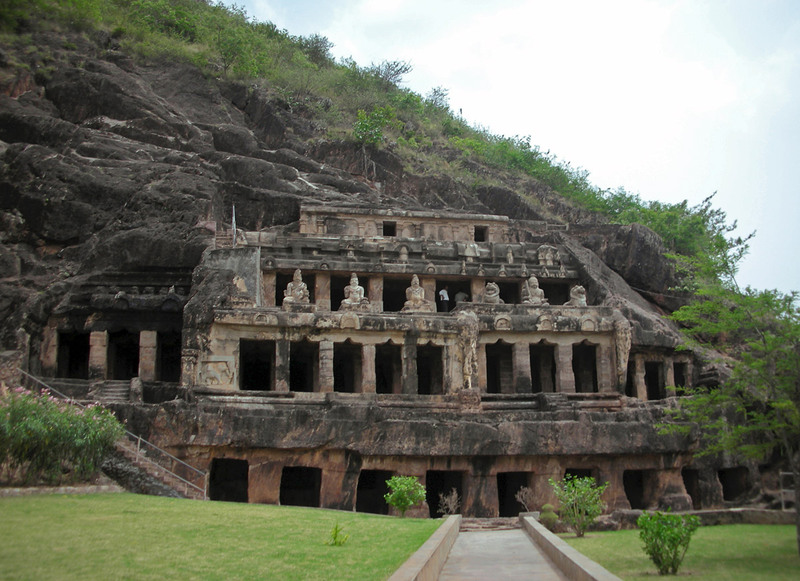 The Undavalli caves, in the village of Undavalli, are at a distance of 8-km from Vijayawada and nearly 32-km from Guntur. 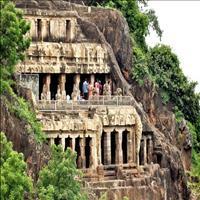 The high hill overlooking the Krishna River hosts fine specimens of cut-in architectural and sculptural models. 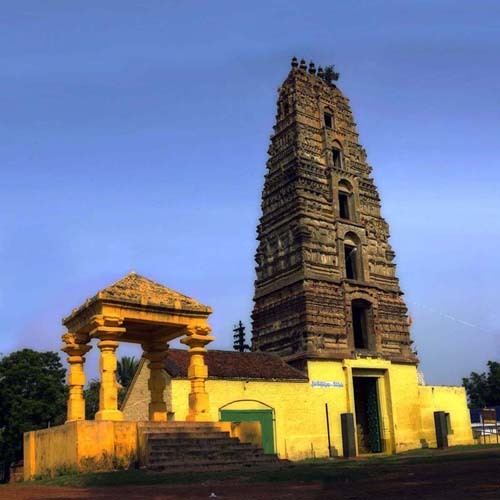 Chebrolu, a very ancient village with many historical remains, is situated on the Guntur-Bapatla road within a distance of 10-km from Guntur. The high mound, on which the village is situated, has yielded some terracotta figurines, as well as some old coins, which reveal the existence of ancient civilisation at this place. Two gold coins pertaining to the period of the Roman Emperor Constantine were unearthed at this place. A number of lead coins containing the figures of ships, animals and mosques were also unearthed. Kotappa Konda is one of the important pilgrim centers of Andhra Pradesh. 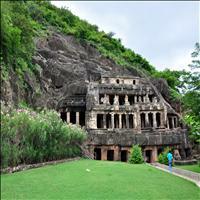 It is located 13-km southwest of Narasaraopet in and 60-km from Guntur. Original name of this village is "Kondakavuru", but is more popularly known as Kotappakonda or 'Trikutaparvatam' (three-peaked hill). The deity on this hill is named 'Trikoteswara'. 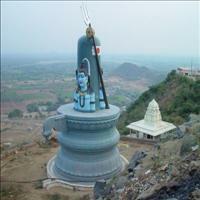 Maha Shivaratri is the important festival celebrated here with great devotion and fervour. 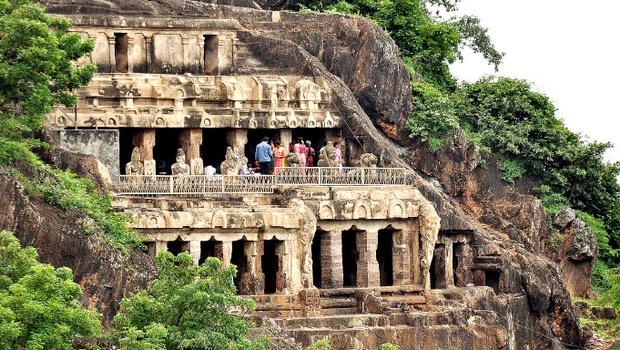 Nagarjunakonda, meaning the hill of Nagarjuna, was named after the Buddhist scholar and savant Acharya Nagarjuna. It was a great religious center promoting Brahmanical and Buddhist faiths, molding the early phases of art and architecture affiliated with them. It was an extensive Buddhist establishment nourishing several sects of Buddhism that culminated into the full-fledged Mahayana pantheon. 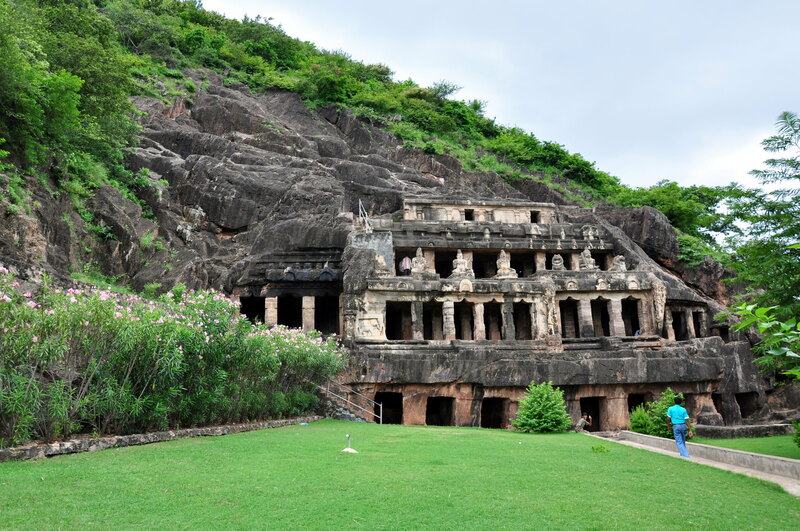 At present it is a unique island in India housing an archaeological museum and transplanted and reconstructed monuments of Nagarjunakonda valley datable to prehistoric to late medieval times endangered with the submergence under the Nagarjunasagar project. 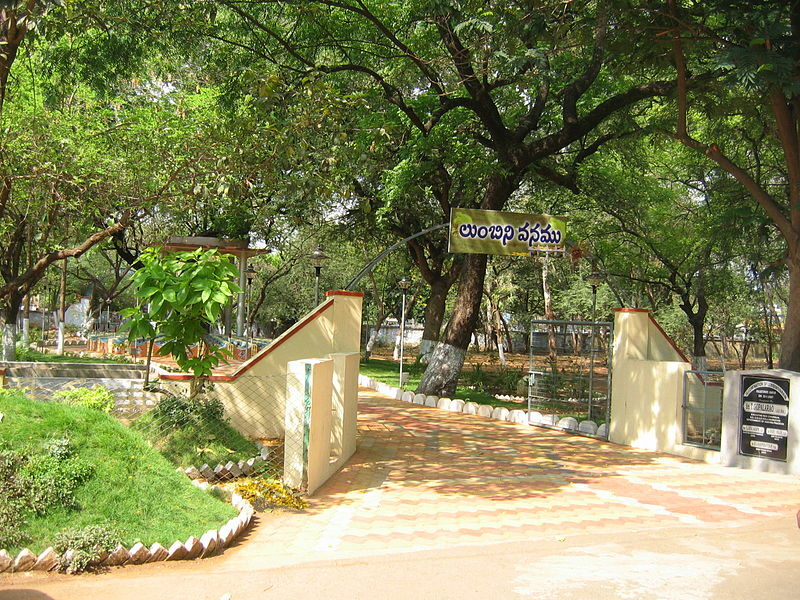 Amaravati (Lat. 160 34’ N, Long. 800 17’E) is situated on the right bank of the river Krishna at a distance of 35 km north of the railway station of Guntur town. 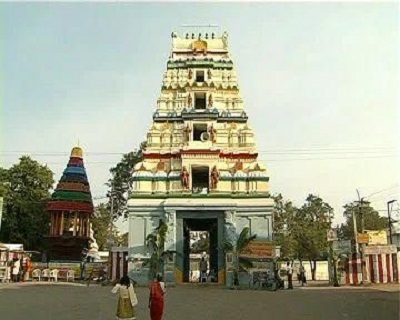 It is also a center of pilgrimage, known as Amareswaram. Nagarjunakonda (Lat. 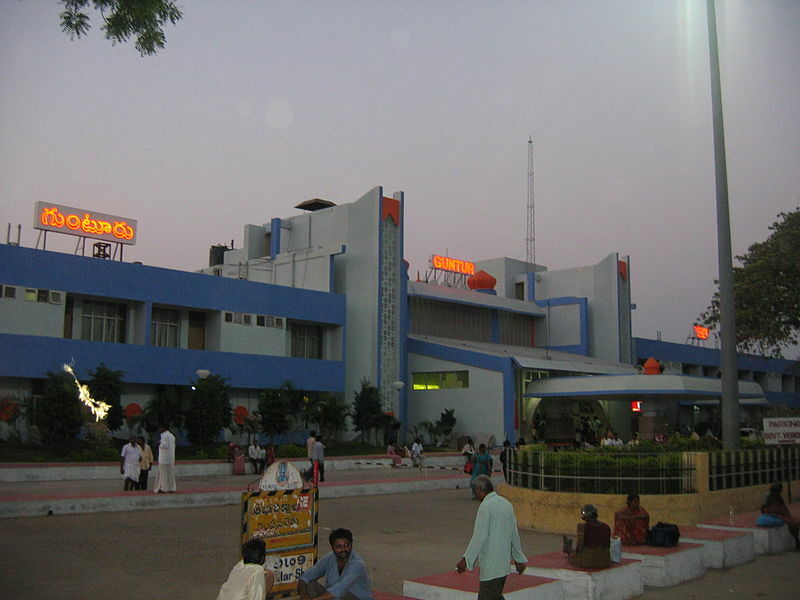 16° 31' N, Long.79° 14' E) is situated in Macherla Mandal of the District Guntur. The nearest railway station is Macherla, at a distance of 24 km. 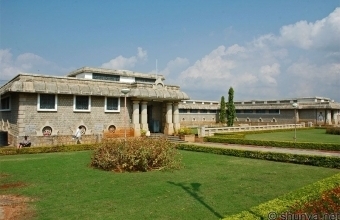 The museum is situated on an island in the Nagarjunasagar dam. To reach the Island there is a jetty point at Vijayapuri, south of the Nagarjunasagar dam. Amaravati is a village in Guntur district of the Indian state of Andhra Pradesh. 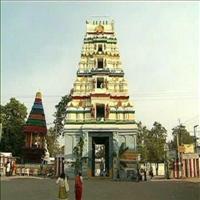 It is located in Amaravati mandal of Guntur revenue division. It is located on the banks of Krishna River, north of Guntur City. Amaravati has been chosen as one of the heritage cities for HRIDAY - Heritage City Development and Augmentation Yojana scheme of Government of India.